Celebrating 1 Year! | happy.harvey.home. 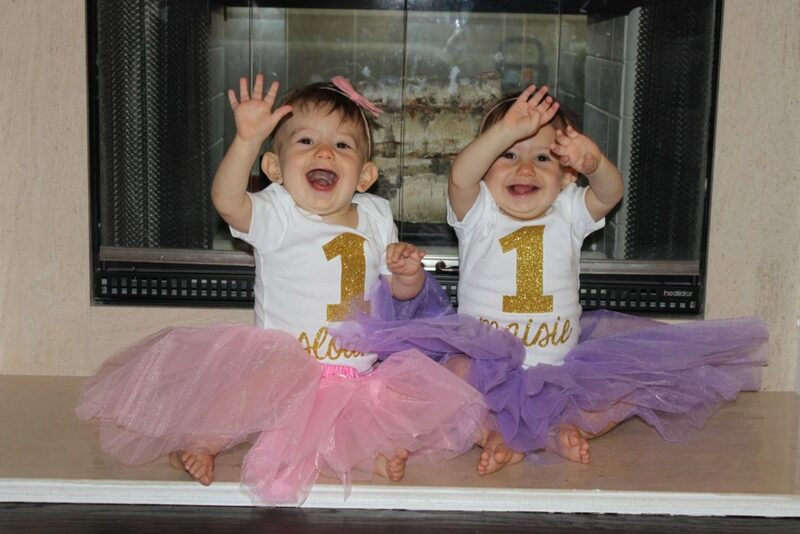 Our baby girls turned 1 this past weekend! ONE! I can’t believe it. It’s so true what they say, “the days are long but the years are short.” And this past year just went way too quickly. 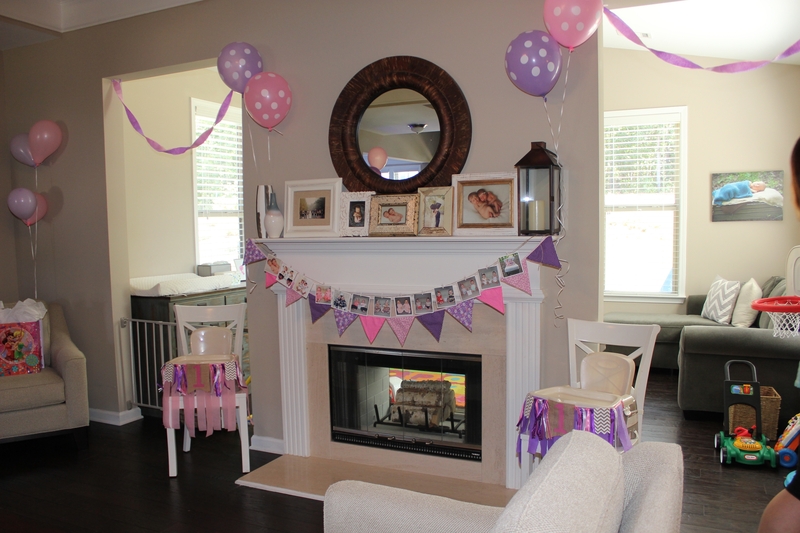 To celebrate our baby girls we had a small party at home with a pink and purple theme of course! 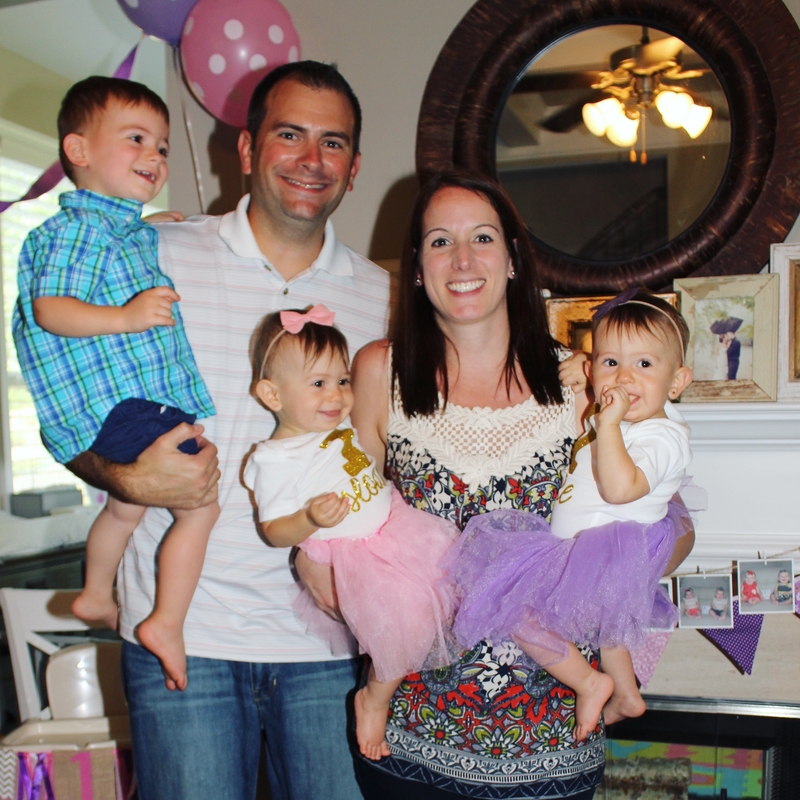 I LOVE to color coordinate our girls – its just helped over the past year in telling them apart, especially for other people. I’m also hoping it helps them know what belongs to each girl so they have some sense of things belonging to each of them and that they don’t have to share absolutely everything! So Sloane’s color is pink and Maisie’s is purple. A friend of mine with twins calls them their birth colors. 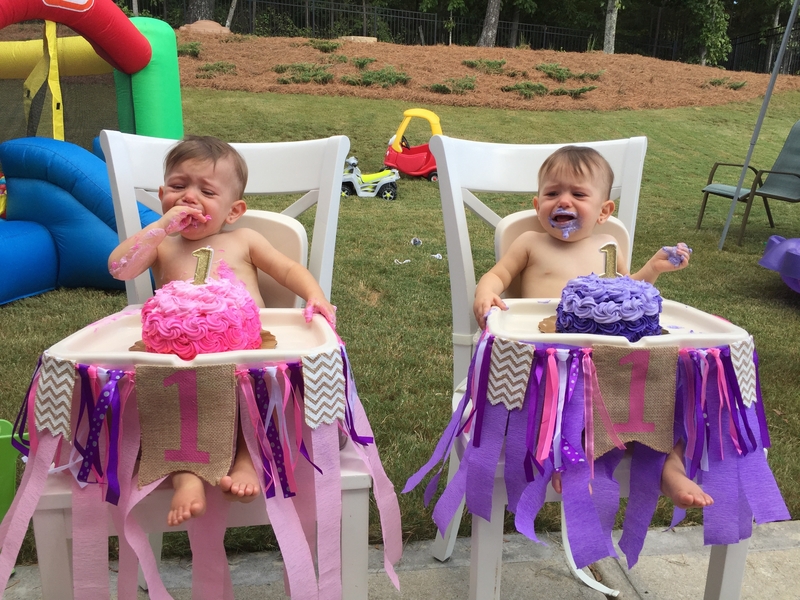 She did something similar with her twins. And I love it! So on to the party details.. Here we go! 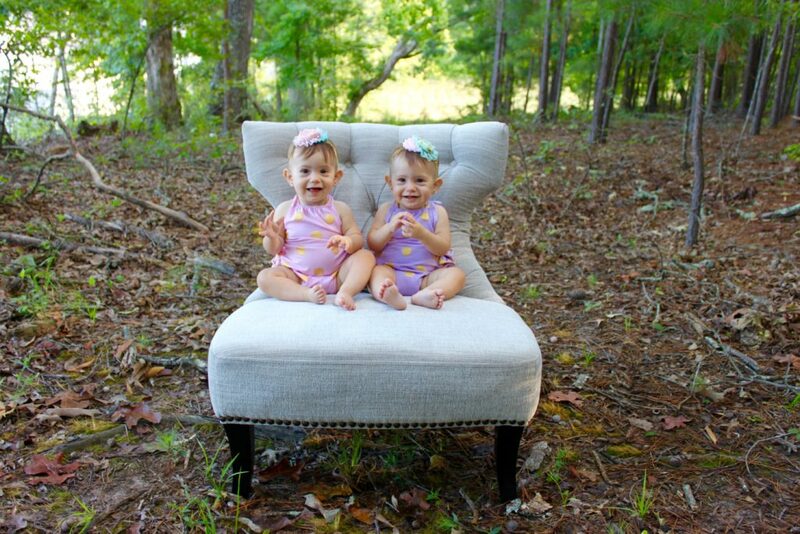 We took one of our office chairs out in the woods behind our house and I took some pics of the girls while KH entertained them and made them smile for me. We used these for the invitation as well as decor at the party. I was so glad to find one to match our pink and purple theme! Thanks Shutterfly! I found the design on Etsy but them ordered them through a local contact who was able to make them for me. The tutus came from Amazon. $6.50 each and LOTS of colors to choose from! Can’t beat it! 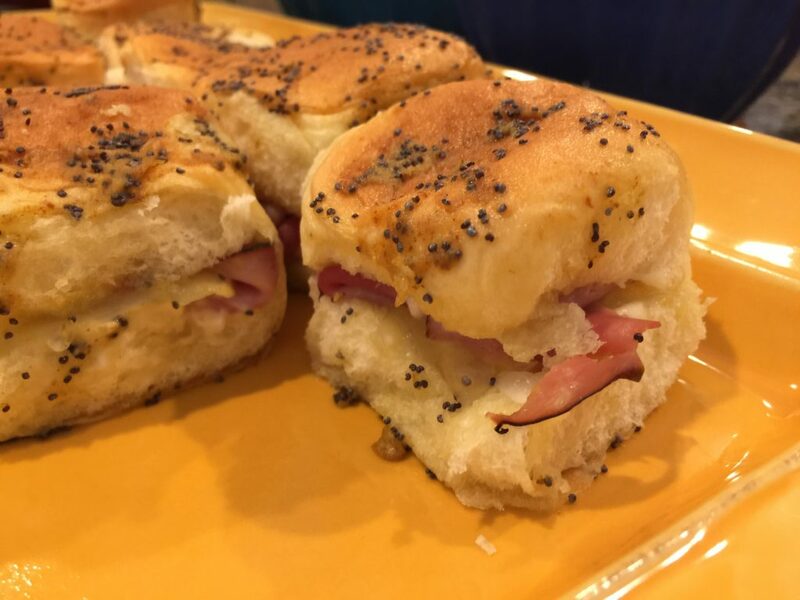 I decided to try and change things up and not do all of my typical “go to” party foods. The caprese sticks and sausage dip are the same but I also added in cheese cubes with pearl toothpicks, a fruit tray from Publix, pink and purple m&ms from Party City, pink (cherry cola) popcorn, purple (grape) popcorn, white (white chocolate candy corn) popcorn and chicago style popcorn all from Heavenly Gourmet Popcorn. 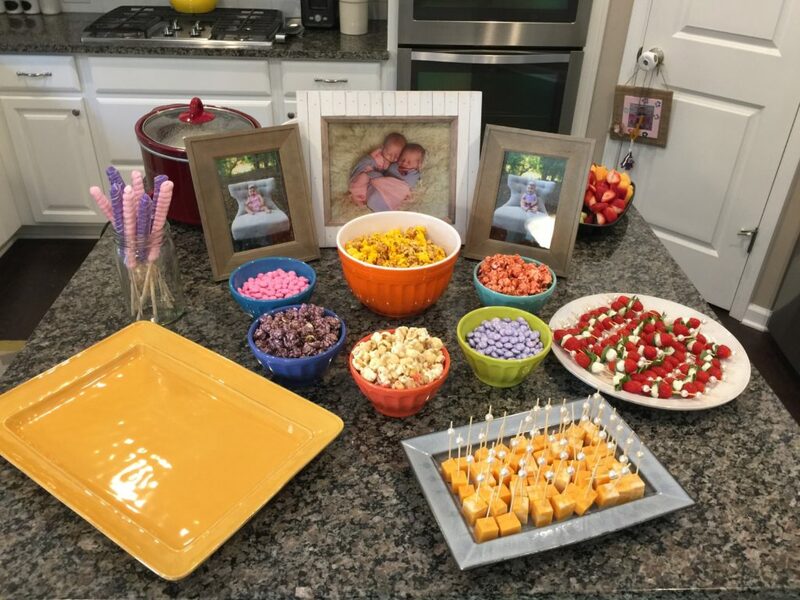 Lollipops from Party City were the party favor and pictures were used for decoration. I am missing the main dish in the pic which leads me to these . . .
Heavenly. That’s all you need to know. I barely got one before they were all devoured. A definite repeat. Make them! A full day but we made it and Sloane and Maisie had an incredible celebration! Big thanks to my besties, Jesslyn and Emily, for helping us decorate and make all the party food. And another big thanks to my mom for taking all the pics so I could play hostess and then just enjoy all the fun as well. And last but night least, of course a HUGE thanks to KH for being the best teammate and husband I could ever ask for. You always make party planning a blast! Love you! This entry was posted in Baby, Birthdays, Family, Pieces of Me, Twins by annettelharvey. Bookmark the permalink.